Sydney Harbour with views of Balmoral Beach, with Middle Head and Bradleys Head. View of Vaucluse Bay, Shark Beach at Nielsen Park and Rose Bay behind. 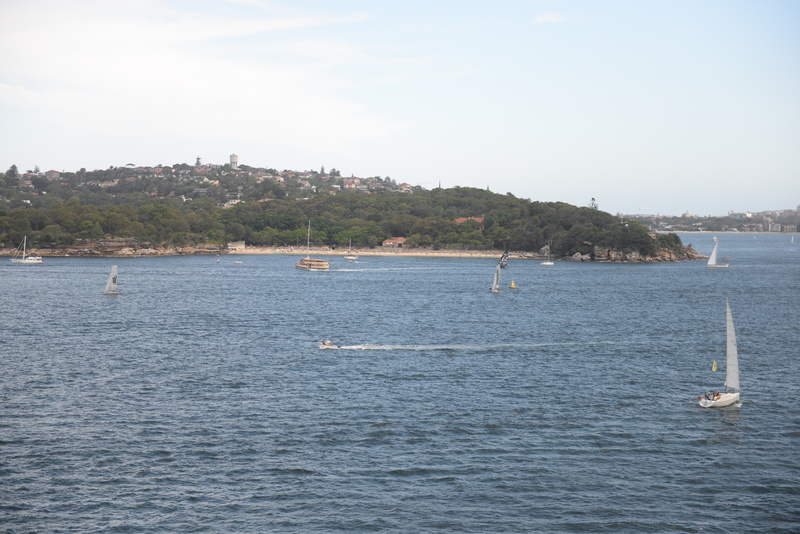 View of Rose Bay with neighbouring Royal Sydney Golf Club. View of Tamarama Beach, Bronte Park, Clovelly, Gordons Bay and Coogee Beach along Sydney’s coastline. Coming in to land at Sydney airport over Kamy Botany Bay National Park with La Perouse and New South Wales Golf Club in the background. Sydney Harbour is one of the most famous sights in the world where you can catch a ferry, sail, paddle or cruise around the inlets, bays and look at the harbour-side homes. There is the Opera House, the Bridge, Manly ferry, the Rocks where European settler’s history started, Sydney Cove, Circular Quay, Botanical Gardens, Luna Park and Taronga Zoo. One of my favourite memories around Sydney is teh 2000 Sydney Olympics that was sent with Dad enjoying the atmosphere and many of the events. BROADSHEET Through breaking news, features, event guides and insight from industry experts, Broadsheet is the authority on the cultural life of your city. We’re here to keep you across the goings on around town and to cover, analyse and comment on it all with accurate reporting, sharp photography and clear, clean design. WHAT’S ON Discover the best events that Sydney has to offer. Eva Punruckvong on Pinterest: Places to go, things to do and see for everyone. Feel free to link this board to friends and visitors to New South Wales. ABORIGINAL CULTURAL CRUISE Immerse yourself in our Culture, meet our people and enjoy the sights of Sydney Harbour. Hear stories of the Cadigal, Guringai, Wangal, Gammeraigal and Wallumedegal people of Sydney Harbour and learn the Aboriginal names and meanings of significant Sydney landmarks, before stepping ashore on Be-lang-le-wool (Clark island, National Park). SYDNEY TALKS SydneyTalks is a free service listing interesting talks in Sydney. Our list is updated regularly to ensure you receive the most accurate information entered by the organisers, but we recommend that before attending you confirm details with them. 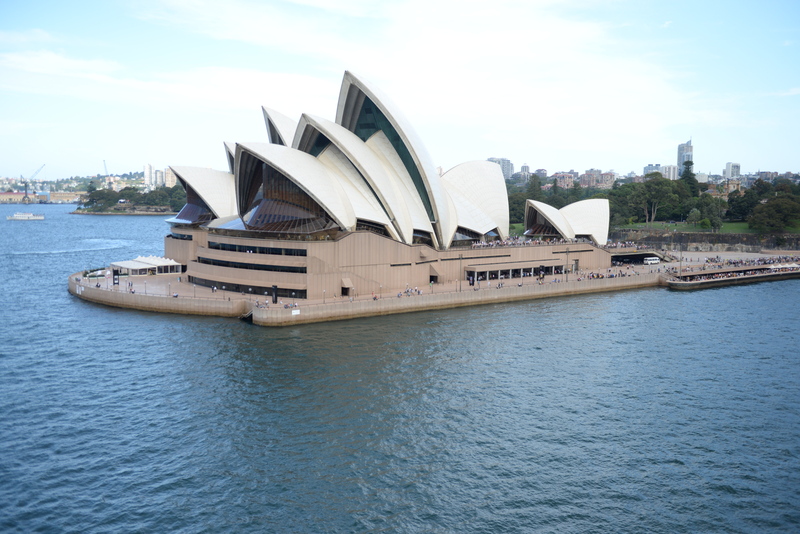 48 HOURS in SYDNEY Jennifer Ennion dodges the tourist traps and unveils some hidden gems. ECO HOPPER FERRY A single ticket on the Eco Hopper ferry lets you stop off at dozens of iconic destinations around Sydney Harbour including Circular Quay, Fort Denison, Taronga Zoo, Darling Harbour, Pyrmont Bay, Watsons Bay and Manly. HOW FAR CAN YOUR OPAL CARD TAKE YOU ON A SUNDAY? Harbour views, lush picnics and epic waterfalls will only set you back two bucks sixty. The Aboriginal Heritage Walk in Ku-ring-gai Chase National Park is a must do! Nothing will recalibrate your spirit like a daytrip to this stunning park – it holds a plethora of treasures; both natural and cultural. Just a 45 minute drive from Sydney CBD, Ku-ring-gai Chase National Park is home to Sydney’s much loved The Basin campground, iconic West Head Lookout and rich cultural heritage of the Guringai people – traditional custodians of these lands. It’s home to one of the largest known concentrations of recorded Aboriginal sites in Australia. Incredible. White Rabbit Gallery s one of the best places to see Chinese contemporary art. It was opened in Sydney’s Chippendale in 2009 by Judith Neilson (who owns the White Rabbit Collection). Since only a fraction of the collection can fit in the gallery, the exhibition is changed twice every year. BADU GILI – meaning ‘water light’ in the language of the traditional owners of Bennelong Point, the Gadigal people – is a new daily experience that explores ancient First Nations stories in a spectacular seven-minute projection, illuminating the Opera House’s eastern Bennelong sail year-round at sunset and 9pm. Here, we’ve put together an urban birdwatchers guide to Sydney for Sydneysiders and visitors alike. Read on for the best spots for spotting birds in the city, the species you might see, tips and tricks for successful birdwatching, great ways to make birdwatching a social activity, and more information on taking part in The Great Aussie Backyard Bird Count. BOTANIC GARDENS, these manicured lawns provide an oasis of tranquillity in the middle of the city, the perfect spot for cheese and biscuits with a stunning harbour setting. The Centennial Parklands – just east of the city centre – is another green patch to escape from the urban jungle. LATITUDE 23 GLASSHOUSE Botanical Gardens. Between the tropics of Cancer and Capricorn grow rare, spectacular and precious plants. See a rotating display of exotic flowering orchids, hoyas and more. POLLINATION at THE CALYX Botanical Gardens. In the plant world, colour is the essential ingredient for pollination. Watch as The Calyx is transformed into an ever-changing kaleidoscope of colour in the new, free floral display Pollination. Curated by the horticultural team at the Royal Botanic Garden Sydney, the display features a collection of plants and flowers showcasing the role colour plays in natures magnificent act of pollination. Garden beds of vibrant coloured orchids, daisies, gardenias and lilies are set against the backdrop of the display hero -the green wall. The wall, the largest of its kind in Australia, standing at 6 metres high and spanning 50 metres, showcases the Pollination theme with Dichondra, Syngonium and Heuchera. 10:00 am – 4:00 pm daily. Become one of the three million people to have scaled the iconic Sydney Harbour Bridge, offering amazing views of Sydney Harbour and the Opera House. Cross the Bridge, it only takes 20 minutes to stroll across the Harbour Bridge – and when you get to the other side, follow the water past Luna Park to Wendy’s Secret Garden, a maze of tangled stairways and exotic plants with a postcard view of the city across the harbour. SUMMER OUTDOOR CINEMAS 2017-2018 There are a few visual cues that mark the beginning of summer in Australia. Jacarandas blossoming on suburban streets. Cricket replacing footy on local ovals. Backpackers sunburning on crowded beaches. And big screens popping up in parks and on rooftops around the country, preparing for another summer of outdoor cinema. Because what better way to spend a balmy evening than under the stars watching your favourite flick? CHRISTMAS LIGHTS in the city: Darling Harbour Christmas Tree, David Jones Christmas Window, Martin Place Christmas Tree, Queen Victoria Building Christmas Tree, St Marys Cathedral Lights, Town Hall Lights, Westfield Sydney, Martin Place & Pitt Street. COCKATOO ISLAND heritage-listed convict site in the middle of the harbour with overnight camping. Taste Cultural Food Tours are the best cross cultural experiences you can have without leaving Sydney! Our unique delicious food tours are offered in some of Sydney’s most vibrant multicultural town centres. Talented local people share mouthwatering treats, local history and their cultural and local stories. You will visit the best places to eat and shop, discovering those hidden gems that only locals know! All our tours are small groups, and all food is included, so you will not leave hungry. We are a charity and social enterprise aiming to build strong cross-cultural understanding by bringing the wider community together through unique Australian food tours. All our profits are invested into offering training and employment opportunities to refugees, migrants and youth, supporting them into the career of their choice. Vaucluse House TearoomsWentworth Road, VaucluseSet among 10 hectares of manicured gardens that stretch all the way down to Sydney Harbour, Vaucluse House is a historic sandstone mansion that was built in the 1830s. Added to the building in the 1930s, The Tearooms are art deco in style and overlook the gardens. The Tearoom at the QVBQueen Victoria Building, 455 George Street, SydneyCrystal chandeliers hang from the Victorian ceiling of this beautiful tearoom, which was once the QVB’s original Grand Ballroom. The Langham Sydney89-113 Kent Street, SydneyThose looking for an opulent high tea experience should head to The Langham for a British-inspired affair of pastries, truffles and macarons made by their in-house patissiere. Set in the hotel’s elegant Palm Court in the grand lobby with pretty harbour views. Gunners BarracksEnd of Suakin Drive, Georges HeightsCosy up in the elegant tearoom or take a seat on the enclosed terrace with its stunning harbour views for high tea at Gunners Barracks, a colonial sandstone building built in 1873. The Intercontinental Sydney 117 Macquarie Street, SydneySet beneath the atrium and sandstone arches of the Cortile lounge at the Intercontinental Sydney. CARRIAGEWORKS: every Saturday and walk around the regularly held exhibitions in the adjacent art precinct. GROWERS MARKETS: first Saturday of the month on the waterfront in Pyrmont. MUSEUM of SYDNEY: built over and around the remains of Australia’s first Government House. In 1788 Governor Phillip chose this site for his official residence. Today, through a diverse and changing program of exhibitions and events, the Museum of Sydney explores the stories of this city from its origins to today, while the remains of the original building can be glimpsed through glass openings in the museum forecourt and foyer. NATIONAL PARKS where you can get a free workout. Get your nature fix and save money at the same time! Ditching the gym and finding free local outdoor activities is an absolute no-brainer for your mind (and your wallet). Smashthe kind of workouts your colleagues will actually want to hear about, you’ll even get to see some picturesque Aussie landscapes while you break a sweat! 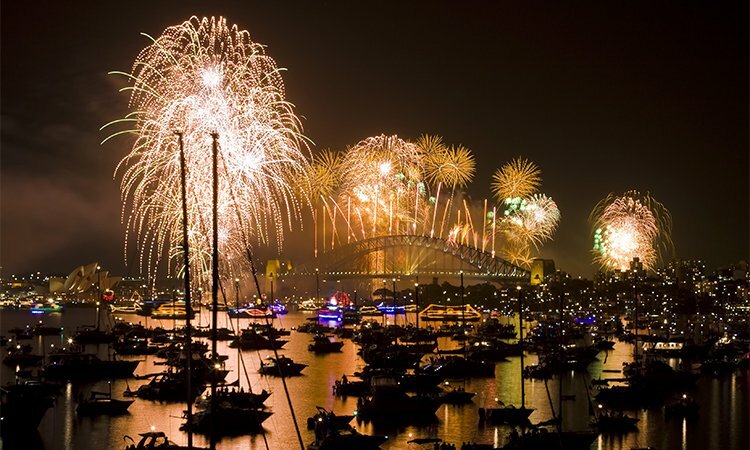 NEW YEARS EVE RING IN 2019 IN SYDNEY with YHA Sydney Harbour YHA is the only hostel perched above Sydney’s historic Rocks and boasts quite frankly the greatest view of the harbour you could hope to absorb. Sit from sunrise to sunset, people watching and seeing the city buzz by, explore Circular Quay and all that the city has to offer, then toddle back to the rooftop for an exclusive New Years Eve celebration that you’ll never forget. Manly Ferry, no more quintessentially ‘Sydney’ way to get around the city than by ferry – and the 30-minute trip north to Manly is the most scenic route through the harbour, with a bustling beach and a booming food and drink scene to look forward to at the other end. Watson Bay, half-hour ferry from Circular Quay to Watsons Bay to tuck into fish at chips at Sydney institution Doyles, bushwalk around the South Head of the harbour, have a dip in the sheltered bay of Camp Cove, or bare it all at naturist haven Lady Bay Beach. Join an NPWS guide on the historic launch Gargarle for a fascinating tour of three islands in Sydney Harbour. 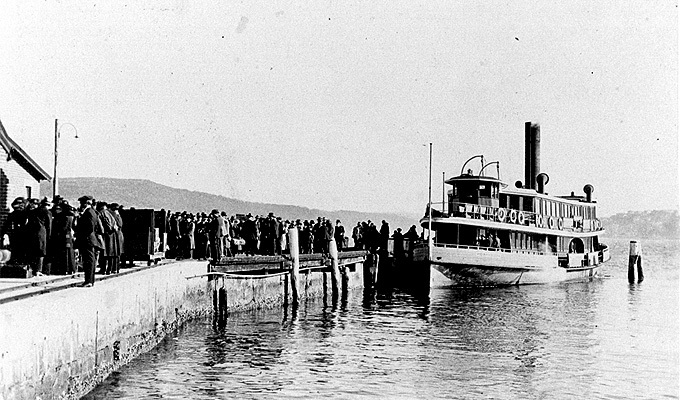 The Gargarle was built in the 1950s to transport maritime workers to and from Goat Island. Meet at 9.45am. Tour runs 10am – 2pm on Sunday 4 September and Sunday 6 November 2016; Sunday 8 January, Sunday 5 February, Sunday 5 March and Sunday 2 April 2017. Our first stop is Goat Island, where you’ll explore the 1836 Queens powder magazine and the convict quarry. You’ll hear stories about the life of convicts and the soldiers that guarded them. From there we’ll cruise over to Fort Denison, where you’ll be guided through Australia’s only Martello tower. Explore the displays and discover more fascinating history from an audiovisual presentation. Our last stop is Clark Island, where you’ll learn how the island got its name while you enjoy a BYO picnic lunch. MCA CAFE and SCULPTURE TERRACE: A great place for a bite to eat with an amazing view over Syndey Harbour. THE historian Grace Karskens was incredulous. The Museum of Contemporary Art intended marking the nation’s oldest dockyard buried beneath the gallery’s $53 million extension with an arrow pointing to concrete. Admittedly, it was a 2.7 metre arrow, illuminated and by the artist Brook Andrew. ”Why? What’s that got to do with the dockyard?” said Associate Professor Karskens, who thinks it ”a bit mean” to mark the site with a few lines from the artist without explaining what lies below. PICNIC SPOTS From open grassy spaces to beachside locations, national parks in and around Sydney have plenty to offer for everyone. For Sydney Harbour views, pack a picnic and go swimming at Shark or Clark Island. Just north of the city in Ku-ring-gai Chase National Park, you’ll find tranquil waterside picnic areas at Bobbin Head and The Basin. And if you’re in the mood for a day trip with friends or family, Blue Mountains and Bouddi national parks are popular hotspots for a lazy picnic. Sydney’s national parks for a picnic under the sun from open grassy spaces to beachside locations, national parks in and around Sydney have plenty to offer for everyone. For Sydney Harbour views, pack a picnic and visit Shark or Clark Island. Just north of the city in Ku-ring-gai Chase National Park, you’ll find tranquil waterside picnic areas at Bobbin Head and The Basin. And if you’re in the mood for a day trip with friends or family, Blue Mountains and Bouddi national parks are popular hotspots for a lazy picnic. Visitors Centre For over 150 years the Quarantine Station was for many, the beginning of a new life in Australia after making the arduous & lengthy journey from their homelands. Ships suspected of harbouring people infected with contagious disease such as Spanish Influenza, Smallpox or Bubonic Plague were quarantined here so that these deadly diseases would not reach the general population in Sydney. Ultimately a success story for the growing Sydney population, it did however leave an indelible mark on those that were quarantined; tales of love and loss play out alongside themes of cultural and social change, medical history and progress. SCULPTURE BY THE SEA: The exhibition began in 1997 and was held for one day around Bondi Beach. Sculpture by the Sea is now an established yearly event, held for three weeks at the end of October and early November at the Bondi to Coogee walk between Bondi Beach and Tamarama Beach and in March at Cottesloe Beach in Perth, WA. The Bondi to Coogee walk turns into an open air cliff top sculpture gallery. Around a 100 sculptures are displayed along the track from Bondi Beach to Tamarama Beach. Every year over 500,000 people make their way to the Sculpture by the Sea – Bondi exhibition to view art works on display for no charge. The Sculpture Indoor exhibition is held in a Marquee at Mark’s Park between Bondi Beach and Tamarama Beach where the exhibits are for sale. Parking in certain streets, close to the exhibition are reserved for local residents, please consider taking public transport to the Sculpture by the Sea. 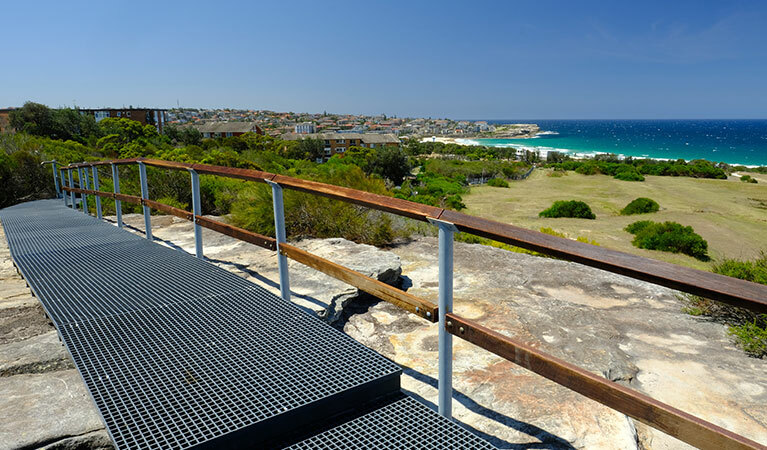 This year there will be over a 100 sculptures exhibited by local and foreign artists along the Bondi to Coogee walk. Sculpture by the Sea along the Bondi to Coogee walk is is the world’s largest free outdoor sculpture exhibition and one of Sydney’s most popular event. TORANGA ZOO Experience nature from a new perspective and test your limits against the breath- taking backdrop of Sydney Harbour, 12 minutes from the city by ferry, with breathtaking views of Sydney Harbour and free shows and keeper talks throughout the day. VIVID Light, Music and Ideas Festival Sydney’s most iconic landmarks are transformed into a kaleidoscope of colour for 23 nights and the best thing about it? It’s absolutely free! WHALE WATCHING Sydney and the surrounding coastline offer many great vantage points for whale watching and an incredible opportunity to see whales migrating past Australia’s largest city. Muogamarra Nature Reserve Muogamarra Nature Reserve is open to the public from 9am to 4.30pm for 6 weekends around August and September each year. The City of Sydney has created a whole range of self-guided walking tours for curious residents and visitors to Sydney, each with a specific focus. Sometimes it’s women, sometimes it’s hidden laneways, or the area’s commercial history, or the early colony, among others. The focus of the most recent walk I did was water. It directs you to fountains, drinking places, public art and more. Unlike the others, it also has a virtual version: the Water, Water Everywhere online exhibition. This exhibition brings together a series of reproduced maps with a focus on Sydney, captured through the cartographic traditions of mapmakers. It is a fascinating account of the factors that have shaped our city, highlighting some of the many different ways mapmakers have documented its evolution and guided our journeys. During additions to Customs House in the late 19th century, the height of the building was increased and a frieze of cared medallions added to the north facade on two levels. The names of six British imperial colonies are inscribed in the centre at third floor level, while eight significant colonial ports are named on the eastern and western wings at the fourth level. Commemorates the landing place of the first European settlers to arrive in Sydney and is significant as an early contact site. The large terrazzo relief map commemorates the bicentenary of the founding of European settlement in Sydney. It features a map of Sydney Cove/Warrane drawn from historical maps and documents and showing the layout of the town in 1808. Small brass discs in the footpath paving along east Circular Quay inscribed ‘1788 shoreline’ mark the location of the natural shoreline of Sydney Cove/Warrane in 1788. As the shoreline was modified to create Circular Quay and provide improved facilities for maritime transport, the shoreline was reclaimed. The first of those alterations is mapped by a band of white granite. There are other brass landmarks along Circular Quay, the 1844 shoreline and the Writer’s Walk. Harnesses the power and changing direction of the wind to prompt imagined and real journeys of discovery. The bronze map in the centre of the ground plane is inscribed with place names, many significant to Scouts. Extending out from the map are lines of text accompanied by a distance and a direction for each of the 16 points of the compass. The sandstone obelisk was erected in 1818 and is recognised as the geographic centre point of 19th century Sydney. It continues to be the point from which all official distances in NSW are surveyed, measured and mapped. Nearby, small bronze birds sculpted by renowned artist Tracey Emin are part of a sculpture installation entitled ‘the Distance of Your Heart’. For over a century, the Lands Department was the government workplace of surveyors and cartographers who were responsible for creating and publishing maps of New South Wales. The Datum Bench Mark Plug is the baseline for all height levels above sea level in NSW. Around the facade of the building are statues commemorating prominent men including explorers, surveyors and naturalists. The State Library of New South Wales holds the state’s largest public collection of maps. The vestibule features a floor map of part of the coastline of the Australian continent compiled from observations by Dutch navigator, Abel Tasman in the mid-17th century. His discoveries were made over a century before the eastern coastline was charted on Captain James Cook’s voyage on HMS Endeavour. As Sydney grew, its streets and thoroughfares followed many of the Gadigal tracks and pathways used for travel and trade. Pitt Street, which followed the Tank Stream, was one important thoroughfare. Another, George Street, led westwards away from Sydney Cove/Warrane. The Tank Stream, now an active stormwater channel, is largely buried beneath the city. The Auburn Botanic Gardens is a place of natural beauty where people can learn more about horticulture, birds and native animals. The Gardens cover 9.2 hectares of lush parkland and host the Autumn Colours Festival in late May and the Cherry Blossom Festival in mid to late August each year. Chinamans Beach, Mosman: a short stroll through leafy Rosherville Reserve in Mosman and you’ll find yourself at Chinamans Beach – a harbour enclave often disregarded in favour of its beautiful (but busy) neighbour, Balmoral Beach. Take a dip in its azure waters and enjoy breathtaking views across Middle Harbour. Lady Martins Beach, Point Piper: hidden down a narrow lane adjacent to Point Piper’s illustrious Royal Prince Edward Yacht Club, Lady Martins Beach can be difficult to find. This seclusion is its major drawcard, along with fewer crowds and sweeping harbour views. Bring your own picnic, or visit one of the many cafés and restaurants in nearby Double Bay or Rose Bay. Store Beach, Manly: one of Sydney’s most isolated beaches, Store is accessible only by water. Hire a kayak from Manly Kayak Centre (manlykayakcentre.com.au) and paddle for about 20 minutes to this sheltered spot just inland from the old Quarantine Station. On the way, stop at Little Manly Beach Kiosk for a coffee or snack. Your efforts will be rewarded with your own slice of paradise. Jibbon Beach, Royal National Park: located in the Royal National Park at the eastern end of Bundeena, Jibbon Beach is a gorgeous 700-metre stretch of sand yet remains one of Sydney’s best-kept secrets. 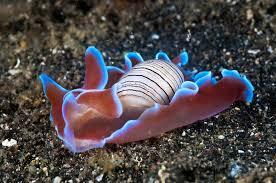 The beach is a one-hour drive south of Sydney or a 10-minute ferry ride from Cronulla Marina. If you’re after a post-swim snack, Bundeena’s town centre offers a few small coffee shops (serving Aussie staples such as sausage rolls and meat pies). Resolute Beach, West Head: don’t be deterred by the three-hour return walk through Ku-ring-gai Chase National Park – a coastal hideaway awaits you at Resolute Beach. Begin the walk at Resolute picnic ground and don’t miss the detour to Red Hands Cave, where you’ll find significant examples of Aboriginal art. Bring comfortable walking shoes and plenty of water to drink. Milk Beach, Vaucluse: at the base of Strickland House in Vaucluse, Milk Beach has inviting, crystal-clear water and vistas of Shark Island and the city skyline. The beach can be accessed on the Hermitage Foreshore walk, which starts at Bayview Hill Road and ends at the popular Nielsen Park. Congwong Beach, Kamay Botany Bay National Park: Botany Bay’s industrial reputation means this area is often overlooked in favour of Sydney’s famous harbour beaches. Tucked away in Kamay Botany Bay National Park, pretty Congwong Beach has naturally protected waters and small swell. Make a day of it and add a tour of Bare Island – a historic military defence fort – to your itinerary. Aboriginal word meaning ‘water breaking over rocks’ it is seven kilometres from Sydney’s CBD with 1-kilometer stretch of sand. Founded in 1907, Bondi Surf Bathers’ Life Saving Club is claimed to be the first surf lifesaving club in the world and was added to the Australian National Heritage List in 2008. Welcome to Kadoo. On the northern headland of Botany Bay is a land the native people once called Guriwal, “Whale”. Today we know it as La Perouse. To the north, at the other end of the Eastern Surburbs, is Woo-la-ra, or South Head. Come Walkabout with Kadoo at Watsons Bay & La Perouse. CAMPBELL TOWN ARTS CENTRE Arguably one of the best art organisations in NSW, is committed to giving artists from diverse cultural backgrounds opportunities to exhibit work, helping to nurture and showcase some of the best multicultural contemporary art in Australia. Kurtosh, desert bar, 316 Victoria Street and a short walk from Kings Cross station. Kürtőskalács is a traditional Hungarian pastry famously known as chimney cake, boasting the perfect harmony of caramelised crispy flaky outer with soft inner walls. Our Kürtősh is baked to sweet golden perfection & rolled in chopped nuts, chocolate or spices for added texture & flavour. Also Randwick, Surry Hills, Crows Nest and Wollongong. Wangal Park is a large park located at the corner of Cheltenham Road and Royce Avenue, Croydon. The park is currently under construction, following the planning and public consultation phase which has culminated in the Wangal Park Masterplan and Plan of Management (in progress). The Wangal Park site has an area of 4.2 hectares, and will enhance the provision of recreational and visual amenity in the area. Wangal Park is intended as a refuge from the surrounding urban environment, with trees, native plant species, fauna habitat and ecologically sustainable best practice. FEATHER DALE WILDLIFE PARK, near Blacktown, is home to one of Australia’s most comprehensive collections of native wildlife. Have a personal encounter with a Koala and hand feed Kangaroos and Wallabies. Located at Doonside, en route to the famous Blue Mountains, Featherdale is Sydney’s ‘hands on’ wildlife experience. As well as many Koalas and Kangaroos, features include face-to-face encounters with all kinds of wildlife including Wallabies, Emus, an amazingly diverse range of birds and 40 species of reptiles in the Reptilian Pavilion. CARRIAGE WORKS: is the largest and most significant contemporary multi-arts centre of its kind in Australia. Carriageworks engages artists and audiences with contemporary ideas and issues. The program is artist led and emerges from Carriageworks’ commitment to reflecting social and cultural diversity. The Carriageworks artistic program is ambitious, risk taking and unrelenting in its support of artists. Carriageworks is open 10am – 6pm daily and open until late on performance nights. THE RIVERBOAT POSTMAN Come cruising with us on the Hawkesbury Mailboat, the famous Riverboat Postman, and enjoy the magnificent scenery of the lower Hawkesbury River as we deliver the mail and other essentials (the odd bottle of whiskey or rum…) to the river-access-only settlements upriver from Brooklyn. JERUSALEM BAY TRACK can do Cowan to Brooklyn. A challenging and hard walk, Jerusalem Bay track, from Cowan Station to Hawkesbury River, near Brooklyn, offers scenic views in Ku-ring-gai Chase National Park. Lane Cove River Tourist Park offers comfortable studio or family cabins for people wishing to explore nearby Lane Cove National Park, and affordable accommodation close to Sydney. Guringai Aboriginal Tours while visiting Aboriginal sites you will learn how our traditional styles of art were created over the generations and hear stories our ancesters possibly told their childern a long time ago, one site we visit is an education site. Continuing to create a platform for existing and emerging artists to showcase their works with exhibitions including a diverse range of traditional and contemporary works from Aboriginal Artists across NSW. There is also a gallery shop. Manly to North Head Loop Walk covers about 10kms about 3 hours rewarding with some of the most impressive views in Sydney. History, panoramic views and apparently home to some 460 plant species, 14 mammal species, 87 bird species, 21 reptile species and 5 species of frog. This is a bush walk that contains some short steep assents and rough tracks. Help Save Manly’s Little Penguins: The Manly colony of Little Penguins in Sydney Harbour is the only mainland breeding colony left in New South Wales. Western Escarpment Walking Track getting back to nature on Western Escarpment walking track in Sydney’s Malabar Headland National Park, near Maroubra. This short track through native heath boasts coastal views, bird life and wildflowers. Department of Primary Industries NSW Fishcare Volunteers o er free, guided, educational walks onto the rock platform where in just two hours you’ll observe some of the vast variety of marine life. You’ll also gain an understanding of the geographical features of the area, look at trace fossils and learn why some migratory birds travel tens of thousands of kilometres from Siberia and Japan to spend time at Long Reef. More information: http://www.reefcarelongreef.org.au This program is proudly supported by the Recreational Fishing Trust. Phil Colman will be one of the guides on Sunday. Phil is co-author of the book; Exploring Tidal Waters on Australia’s Temperate Coast. This book was awarded a Whitley Book Award as the best book in the category of Explorer’s Guide. If you would like to purchase a book, they will be available for sale for $20 each before or after the walk. Carriageworks is the largest and most significant contemporary multi-arts centre of its kind in Australia. The Artistic Program is ambitious, risk taking and provides significant support to leading Australian and international artists through commissioning and presenting contemporary work. Carriageworks is housed in the old Eveleigh Rail Yards at Wilson Street, located within the emerging Redfern Waterloo precinct, and has been developed by the NSW State Government through Arts NSW. The distinctive nineteenth century industrial atmosphere of the former railway carriage and blacksmith workshops have been retained, with many heritage iron and brick details featured in the regeneration of the building. Adding to the rich cultural atmosphere at Carriageworks are a number of Resident Organisations, all working within the contemporary arts sector: Contemporary Asian Australian Performance (CAAP), Erth, Force Majeure, Performance Space, Sydney Chamber Opera, Moogahlin, Felix Media and Marrugeku. 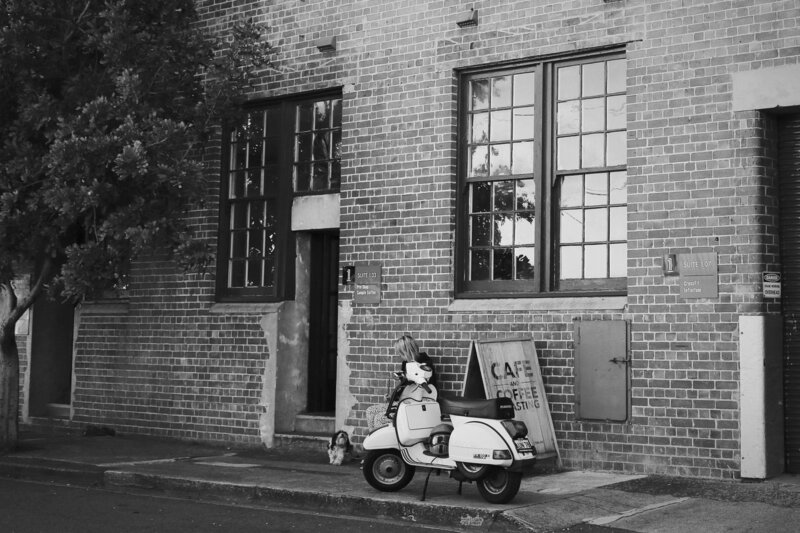 PRECINCT 75 A short walk from both Sydenham & St Peters train stations, Precinct 75 is perfectly positioned in Sydney’s growing Inner West creative business community. A rich heritage dating back to the early 1900’s. The character of the original site has been maintained, offering the period charm of high ceilings, exposed timber, raw finishes and bold creative spaces. Over 70 businesses currently operate at Precinct 75, each with their own identity which is uniquely adapted in the spaces they occupy. There is ample on-site parking, a café, bakery, gym, micro-brewery, urban winery, hair studios, florist, monthly market day and a great range of interesting showrooms to take a stroll through. The Bay to Bay Shared Pathway is a 23 kilometre track running from Settlers Park in Ryde to Botany Bay with much of the track runs aside the historic Cooks River. 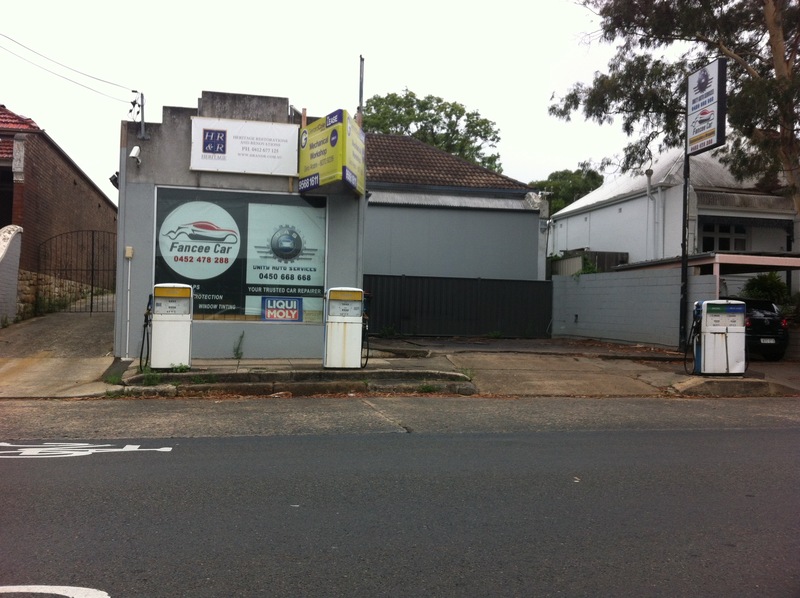 The time required to walk the Strathfield section is only 90 minutes and is a great walk for dogs (leashed). The walkway/cycleway provides easy access to a variety of places in the Strathfield Council area, notably the Cooks River in the south and Mason Park Wetlands and Homebush Bay to the north. Reuben Hills is a cafe, coffee roastery and retailer inspired by our coffee buying trips through Central and South America. 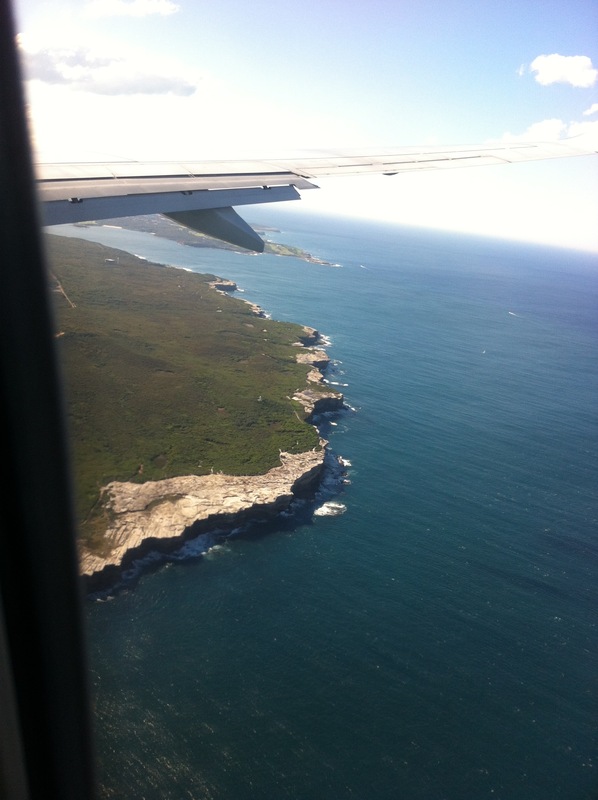 Kurnell area is at the southern headland of Kamay Botany Bay National Park, near Cronulla. Go whale watching or explore some of NSW’s most significant heritage sites — and see why Kurnell Peninsula headland was included in the National Heritage List in 2004. The Amazing Chase, Daily at Bicentennial Park 9.30-4.30pm & Weekends at Newington Armory 9am-4pmChallenge yourself and your friends as you ride in an amazing chase around the park. Use map grid references to find locations, then solve the puzzles set for you at each pit stop.Hire a bike or bring your own.You can choose from two routes, Bicentennial Park or Newington Armory and surrounds. BirdLife Discover Centre open Sat and Sun 10am – 4pm, Newington Armory. Learn about the beautiful birds that share your backyard as well as those feathered friends who visit Australia for different seasons. Watch live EagleCam to see our newly hatched resident white-bellied sea eaglet in its nest. These grand birdsreturn every year from May to November. Catch a bird’s-eye view of their activities courtesy of tree-mounted cameras. You can spot a chick in the nest. Don’t miss the free guided Bird Walk on the last Sunday of every month from 10am-11am. LOOKOUTS and VIEWS Woo-la-ra, Of aboriginal origin, meaning ‘look-out place’, Woo-la-radominates the riverside area of the Park near Wentworth Point. Woo-la-ra offers visitors meandering paths leading to the summit that rewards with commanding 360-degree views of Newington Nature Reserve, surrounding urban landscapes and the city skyline. PUBLIC ART is home to the biggest collection of large-scale site-speci c urban art in a single precinct in Australia. With more than 50 pieces of public art and urban cultural features spread across this multi-faceted site, the collection provides a unique record of the evolving cultural history of Sydney Olympic Park. As well as works relating to the Sydney 2000 Olympic and Paralympic Games, there are pieces that evoke the early industrial uses of the site. The Sydney Olympic Park Urban Art Collection is a work in progress and is currently being reinterpreted as a vibrant outdoor art gallery. 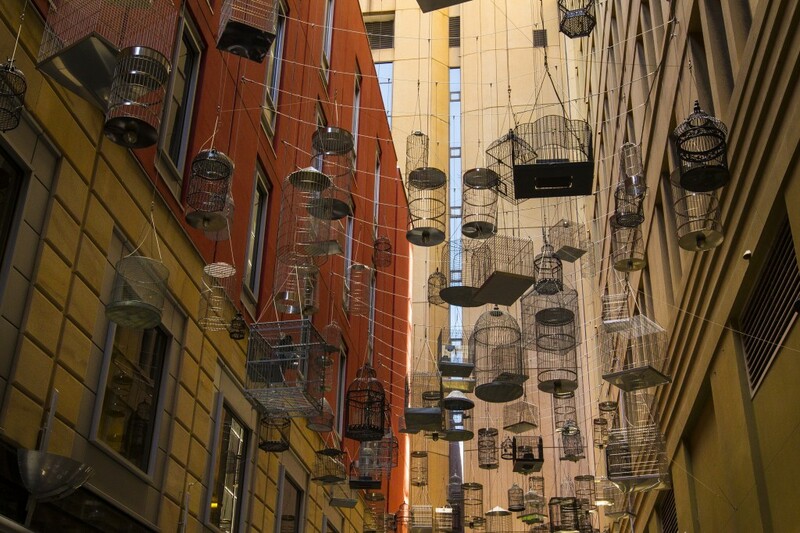 As it continues to grow, new permanent and temporary public artworks will further enhance the built and natural environments of this important Sydney precinct. ROYAL EASTER SHOW Sydney Showgrounds, 1 Showground Road, Sydney Olympic Park, NSW 2127 (02) 9704 1000Youtube LinkAn annual agricultural event held in Sydney to promote and display livestock, produce and rural merchandise. The show celebrates all things Australian from our bush heritage to our modern day lifestyle. It is home to the largest carnival in the Southern Hemisphere with over 100 rides and games on offer, there’s something for everyone, showbags, animals, competitions, demonstrations, random stuff to buy, crazy hats, concerts, bull riding, sideshows, food, horse jumping, merry-go-rounds, rides, fireworks, monster truck and bikes shows. WALKING TRAILS the Park offers visitors an astounding 640 hectares of made natural attractions. The accessible, spacious and tranquil parks have over 35 kilometres of walking trails allowing you to escape the surrounding city’s bustle, to relax and free your mind with a choice of appealing scenic walks. 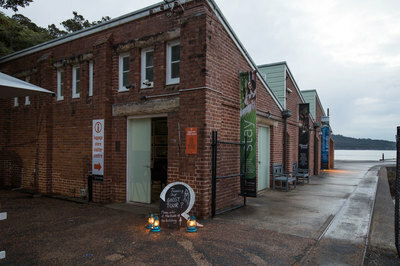 ARTSPACE is nestled behind Sydney’s Woolloomooloo Wharf, Artspace was established in the early ’80s as an artist-run gallery and has since hosted some mind-blowingly weird exhibitions from incredible local and international artists. If you like your art contemporary, this one is not to be missed. Woolwich DECKHOUSE Waterfront Cafe with city views, open daily 8:30am – 3:pm. Once a year you can enjoy Harbour Sculptures scattered through Clarkes Point Reserve over into the Deckhouse. In its third year, 30 July – 9 August 2015, Harbour Sculpture is a must see and is a fantastic community project. 48 Hours in the Blue Mountains. It’s easy to consider Katoomba just a day trip from Sydney – but this is what you’re missing if you don’t spend the night in the Blue Mountains, writes Tom Smith. Sydney’s backyard wilderness, the rugged beauty of the one-million-hectare World Heritage-listed Blue Mountains. Discover the cascading Wentworth Falls (“exceedingly well worth visiting”, wrote a young Charles Darwin in 1836). Drive through the lowlands of Sydney’s outer urban sprawl, gradually ascending through the picturesque towns of Faulconbridge and Hazelbrook, stopping at Wentworth Falls Lookout trails, rewarding bushwalkers with grand valley views from Fletchers lookout before reaching the top of popular Wentworth Falls waterfall. The Conservation Hut at Wentworth Falls is a great spot for a bite to eat while enjoying a view of the World Heritage listed Blue Mountains National Park from the café’s balcony. Then driving on to arrive at the treelined streets of Leura, at a crisp-climate elevation of 985 metres leaving time enough to visit its antiques stores, boutique shops and cafes. A short drive through nearby Katoomba to see another of the Blue Mountains’ natural attractions, Echo Point, the best place to see the Three Sisters – the famous serrated sandstone trio – against an incredible backdrop of sweeping bluegum forests carpeting the Jamison Valley, touched by golden light and that blue haze. Take the glass-floored Scenic Skyway (2 Violet Street, Katoomba), Australia’s highest cable car, for the 720-metre journey across the valley. The Paragon Café in Katoomba was named by Zacharias Simos in 1916. Among the places of heritage significance, one particular café stands out. A fifteen-year-old Greek boy called Zacharias Simos migrated from his island of Kythera in 1912. He found work in Greek fish-restaurants and cafés, first in Sydney, then in Windsor and in Tenterfield. By 1916 the nineteen-year-old Simos was in Katoomba, where by September 1916 he had leased one of the former rector’s shops in Katoomba Street, no.65, and turned it into the Paragon Café and Oyster Palace. Continue about seven kilometres north, through Katoomba, to the end of Minni Ha Ha Road, where you can begin the bushwalk to Minnehaha Falls and the swimming hole at its base – one of the Blue Mountains’ best-kept secrets. HAWKESBURY HEIGHTS YHA, BLUE MOUNTAINS 90 minutes and what feels like a million miles from Sydney, this self-contained oasis is the perfect spot for any group. With cityscape views and fresh mountain air, your group of 12 or less will love the al fresco living Hawkesbury Heights YHA affords. $420 per night, sleeps 12. On-site facilities include a BBQ area, open fire place indoor and out, grass lawn area, well equipped kitchen, amazing views and parking. Things to do only 10 minutes drive up the road you will find the Yarramundi Reserve. Great during the warmer summer months for a day trip of bird watching, bushwalking, swimming, fishing and even kayaking. Best Walking Trails in the Blue Mountains When you’re living or working in the concrete jungle, it’s difficult to remember that we live in an incredibly vast land with an abundance of beautiful scenery that can invoke a multitude of emotions. The Blue Mountains is host to incredible views of forestry, wild animals, unique rock formations and mesmerising waterfalls. The best thing you can do to shake off the woes of modern society is to take a hike and let yourself fall in love with nature. These three weathered sandstone peaks are an iconic formation in the Greater Blue Mountains World Heritage Area. Towering more than 900 metres high they’re best viewed from the Echo Point lookout at Katoomba, and are most photogenic at sunrise and sunset. Catamaran learn to sail/camp/cabin weekend Lake Macquarie. Enjoy pretty Lake Macquarie while zipping along on our 18-foot catamaran and getting a good introduction to sailing. We are a long-established sailing group run by the YHA. We hold sailing weekends every 4 weeks where we get some regular members attending (who don’t RSVP on Meetup) plus a number who contact us through Meetup. COST: Sailing fee $ 70, camping $ 16, cabin $ 55, lift from Sydney $ 30. About 2 hours drive north of Sydney. You must email me (Mark Lovi) directly (to marklovi@optusnet.com.au ) as well as RSVP on Meetup. If RSVP’s have not yet opened, email me to register your interest. If you have queries, please email me directly. Please advise the following when emailing – this is to help organise the weekend. If enquiring, there is no need to supply all these details immediately. Do you have your own vehicle. We will try to car pool when possible. If you need a lift (cost $ 30), what area in Sydney do you live in ? No sailing experience is necessary. Catamaran sailing is a fun and exciting way to experience the water, as the boats zip along in the wind. The boats are easy to sail and offer a good opportunity for anyone who wants to learn or experience sailing by getting some practice on either handling the jib, trapezing (hanging out the side of the boat on a harness) or skippering. We are not a “racing” group, we just like to be on the water and away from Sydney for a weekend, taking it easy. These are not yachts, these are smaller 18-foot/14-foot catamarans. We are on a lake, not the open ocean, so you don’t get seasick. We also have kayaks if people want to paddle. The cabin is a basic non-ensuite type, sharing a bunk in a 4-bed room, with cooking facilities. The caravan park has an enclosed camp kitchen with electric BBQ’s, microwave, fridge, so you don’t need to bring cooking gear, just food/utensils. We drive to a caravan park on Lake Macquarie where we rig the boats. We sail on Saturday, camp Saturday night at the caravan park, then sail on Sunday until 4:00. Normally we take turns – one crew out on the water, with one crew waiting on shore. Hampden Bridge, officially opened in 1898, it is the only surviving suspension bridge from the NSW colonial period and is Australia’s oldest suspension bridge with four beautiful sandstone turrets. ‘Kiama’ comes from the Aboriginal word for ‘place where the sea makes a noise’ and the blowhoe itself was formed by a lava flow 260 milionyears ago. Sydney is the kind of city that you can’t wait to show-off to visitors – Bondi beach lifeguards! The Opera house! Getting a ferry! But living here is about digging in, beyond the flashiness – you know, to the soul and character of the city and not just its (very good) looks. And this is fun to do because Sydney is a city of contradictions and contrast – while we exercise vigorously we also hunt down artisanal doughnuts with a ruthless intent. 1. Take a stretch or dance class at the Sydney Dance Company at Walsh Bay. It doesn’t matter if, like me, you’re very uncoordinated (but very enthusiastic! ), you’ll totally feel like you’re in a Centre Stage movie as you limber up at the barre. 2. Play barefoot bowls at the Clovelly Bowling club (or the Petersham Bowling club which pretty much doubles as a creche). The view at Clovelly is spectacular and the beer at every bowls club is cheap. What more could you need? 3. Sydney is a city that exercises. And it’s OK to join the beautiful people on the Bondi to Bronte walk, so long as you then double back and undo it all by having lunch at the Icebergs club – it’s the same Bondi view that everybody in the entire world has Instagrammed at some point, but at a much more wallet-friendly price. 4. Trawl the Kirribilli market for vintage and designer clothes (and sell your own, but be prepared to haggle intensely). It’s where all the fashion magazine girls sell their (so-last season) clothes. But get in early for the good stuff, the crowd here is very aesthetically astute. 5. Swim laps at the Boy Charlton pool and then sun yourself luxuriously in a manner reminiscent of a character in an Evelyn Waugh novel, all youthful beauty and vigour. 6. Eat, drink and dance at a venue owned by Justin Hemmes. Look, it’s totally unavoidable and you might as well enjoy yourself. Special mention to the meat sweats-inducing Papi Chulo at Manly. 7. Eat a Harry’s Cafe de Wheels pie with mushy peas in a very unflattering and entirely satisfying manner on your walk home from a night out. 8. Go stand-up paddle boarding in Manly. 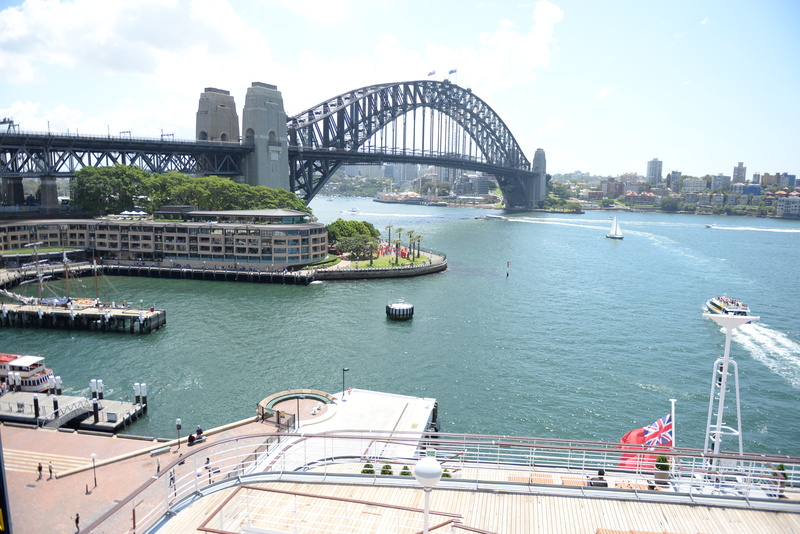 Basically do any kind of activity on the harbour, because that is Sydney’s happy place. Though, really, has anybody ever paused to wonder what the point of stand-up paddle boarding is? Like, it’s not really that fun? 9. See a cult classic movie at the very cute Golden Age Cinema and Bar. Snack on some cinnamon doughnut popcorn (!) and try to remember some smart-sounding quotes from that film studies subject you did in your first year of uni to impress your date. 11. Line up for ages at Gelato Messina, during which you will change your mind at least 87 times before settling on salted caramel and white chocolate. Because you always get salted caramel and white chocolate and you should never change. 12. Head to Cabramatta for pho at the place you personally have decreed the city’s best, and stock up on Asian supplies and vegetables. 13. Battle it out with crowds on the day before Easter or Christmas Eve to buy fish at the Pyrmont fish markets and swear that you will never, ever do that again. 14. Eat some of Kylie Kwong’s pork dumplings at the Eveleigh market and pick up some organic produce. Because if you live in Sydney and you didn’t go to a farmer’s market on the weekend, did your weekend even happen? 15. Visit the Three Sisters in the Blue Mountains. You’ll only do this when you have visitors. 16. BARANGAROO. It’s the new Sydney precinct. And it has a great park for strolling and sitting and wondering about city renewal. 17. Do a pub crawl in the Rocks and argue jovially about which pub is actually the oldest pub in Sydney. 18. Gently make fun of tourists doing the bridge club (even though you’d kind of like to do it if only you didn’t have to wear that unflattering onesie), but also feel quite smug that you get about the same view simply walking across the bridge. 19. Karaoke with all of your most drunken, competitive and unrelentingly extroverted friends at Ding Dong Dang is a must. This is a very important Sydney Experience. 20. Pick up a ricotta cheesecake from Pasticceria Papa for a dinner party, and guiltily end up eating the whole thing yourself out of the fridge, Nigella Lawson style. 21. Dance wildly, joyfully at The Palms in Oxford Street. 22. Go snorkelling at Gordon’s Bay and also take the time to admire Sydney’s hipsters in their natural habitat as if you are David Attenborough. 23. Ride a ferry all day, with nowhere to go. Every Sydney-sider should do this at least once in their lives. 24. Walk through the Queen Victoria Building and The Strand and remember to look up and admire just how lovely those buildings are. 25. Hire a bike in Centennial park and idly cycle the entire perimeter, take a picnic and stay for the day. 26. Spend an afternoon wandering around the MCA and The Sydney Art Gallery (and not just when there’s a blockbuster exhibition on), don’t forget to tilt your head thoughtfully and walk with your hands behind your back. 27. Sport! You need to see some sport in Sydney. The New Year’s Test is a pleasant way to while away a few days, or jump on the Sydney Swans bandwagon at the crucial moment like every other non-dedicated AFL fan. 28. Rent a tinnie at Pittwater beach and spend the day tootling about the water with friends, a six-pack of beer and plenty of swimming stops. 29. Train for a fun run. You’ll definitely need to do the City To Surf at some point – being able to groan about heartbreak hill is basically the pre-resquisite to being a Sydney-sider. 30. Go to the beach or one of Sydney’s beautiful harbour bays (see also: endless debates with friends over which is the best. For what it’s worth, my vote goes to Parsley Bay, Balmoral and the Coogee Ladies Baths). Because you should definitely go to the beach more. Wander among the rainforest and towering eucalypts, experience scenic views, enjoy picnicking and bushwalking along the Illawarra escarpment, near Wollongong and Kiama. Sydney’s backyard wilderness, the rugged beauty of the one-million-hectare World Heritage-listed Blue Mountains and 10 times older than the Grand Canyon including more than 100 species of eucalypts. The Gundungurra Aboriginal people and represented by the Gundungurra Tribal Council based in Katoomba. In the lower Blue Mountains, the Darug people are represented by the Darug Tribal Aboriginal Corporation. Drive through the lowlands of Sydney’s outer urban sprawl, gradually ascending through the picturesque towns of Faulconbridge and Hazelbrook, stopping at Wentworth Falls Lookout trails, rewarding bushwalkers with grand valley views from Fletchers lookout before reaching the top of popular Wentworth Falls waterfall. The Conservation Hut at Wentworth Falls is a great spot for a bite to eat while enjoying a view of the World Heritage listed Blue Mountains National Park from the café’s balcony. Then driving on to arrive at the treelined streets of Leura, at a crisp-climate elevation of 985 metres leaving time enough to visit its antiques stores, boutique shops and cafes. Discover the cascading Wentworth Falls (“exceedingly well worth visiting”, wrote a young Charles Darwin in 1836). Scenic World is a private, family owned tourist attraction located in Katoomba in the Blue Mountains, New South Wales, Australia, about 100 kilometres west of Sydney. Scenic World is home to four attractions, the Scenic Railway, the Scenic Skyway, the Scenic Cableway and Scenic Walkway a 2.4 km elevated boardwalk through ancient rainforest. Onsite facilities also include free all day parking. On the Great Dividing Range, country setting of rolling green hills, old-world villages, galleries, antique stores, historic architecture, grand gardens, national parks and town centres of Mittagong, Bowral, Moss Vale, Berrima, Bundanoon and Robertson. Occupied by Dhawawal Aboriginal people, first explored by Europeans in 1798 and settled around 1820. Morton National Park with Fitzroy Falls, Kangaroo Valley, Cricket Hall of Fame and Bradman Oval in Bowral and the spring Tulip Time Festival.